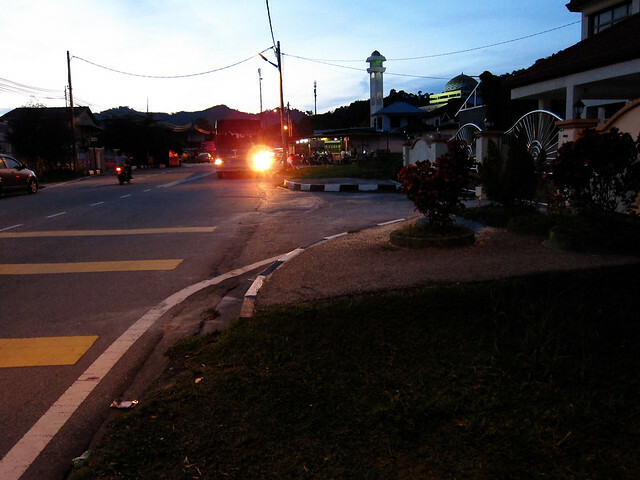 Waking up in the village of Sungai Batu, at the Southern tip of Pulau Pinang, Malaysia, is the same every morning: you wake up with the sound waves that call the faithful to prayer. The prayer, if you are not Muslim, is optional, but the waking up is not: Sungai Batu is small, and every bedroom in every residence inside the village lies within easy striking distance of the loudspeakers mounted on the central mosque’s minaret. I am the kind of person who easily waxes nostalgic for times gone by… I romanticize bygone eras of exploration and discovery, and allot most of my daydreaming time to imagining myself as a daring globe-trotting archeologist born about two hundred years ago. I also indulge my nostalgia with literature. As I traveled through Malaysia, for instance, I spent some time reading a bland contemporary account of the overarching history, but spent a good deal more time lost in the pages of a nineteenth century travel diary penned by a woman named Isabella Lucy Bird. Not content with the expectations for her gender in Victorian England, Isabella set out with her “Gladstone bag and canvas roll” to visit America when she was twenty-five, and spent the rest of her life crisscrossing the globe, from Morocco to India, Turkey to Japan. 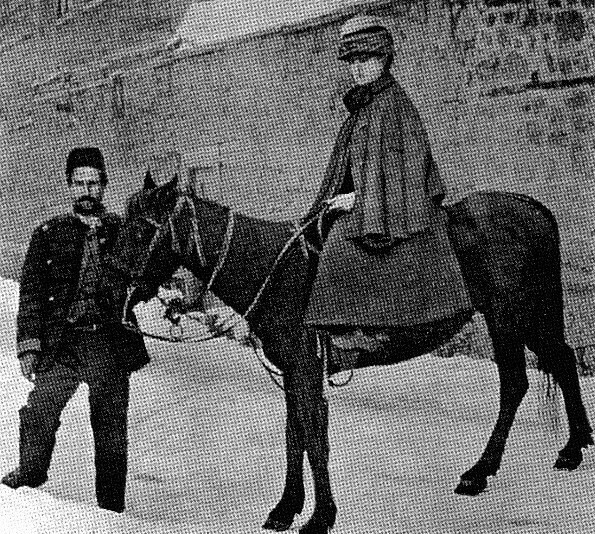 She ended up funding her adventures by publishing her detailed letters and diaries, which remain some of the most insightful travel writings available from the period. Isabella Bird photographed in Tibet, a few years after she traveled Malaysia. Ms. Bird set out for Malaysia from Hong Kong, then steamered her way to Saigon and Singapore before approaching the mysterious peninsula itself. This is where I was in my reading the night before I woke up in Penang to Justin Bieber’s voice. 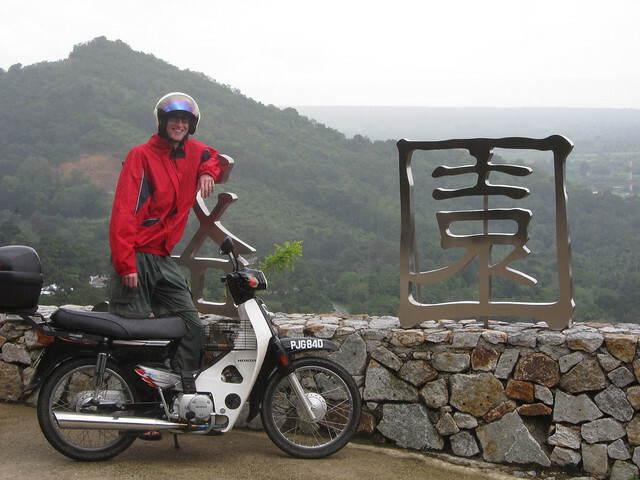 No horse for me, but a ‘moto’ proves the next-best way to traverse Penang. Romantics like myself, comparing our experiences to those of people like Isabella Bird, sometimes complain that contemporary travel is stale. That the world has grown too small, too quickly, and that “alien experiences” are few and far between. That there is nothing new to witness, or discover on this planet. That we are living at the wrong time for “interesting” journeys. Justin Bieber—of all people—reminds me that such claims are wrong. Such claims are wrong because never, at any other point in history, has Isabella Bird or any other traveler been able to experience what I did in Sungai Batu. Never before, in Malaysia or anywhere else, has Bieber followed the call to prayer. We are living at a time of fantastic temporo-cultural juxtaposition, and while one can experience this juxtaposition anywhere, it is only by traveling that one starts to grasp the extent of the “mashup” that is occurring around the world, and perhaps gain some new perspective for what it all means. 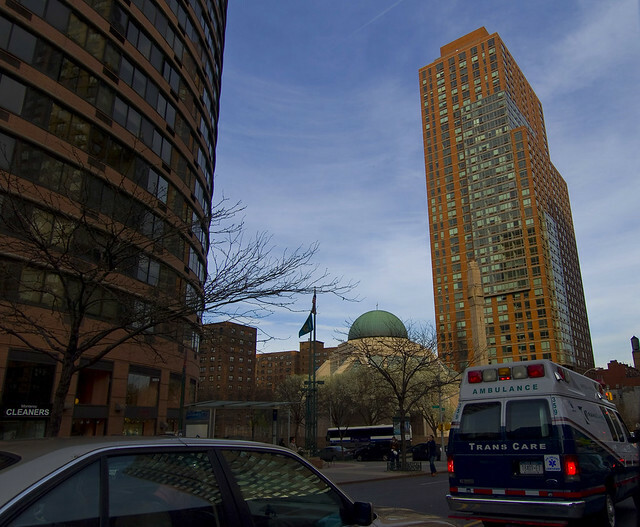 An American like me, for instance, might see mosques being built in New York as a kind of “invasion.” In Malaysia, though, we find a new normal: one in which mosques are everywhere and Muslims make the law. We may be put at ease to hear familiar pop music playing outside our hotel window after the Adhan, but being in Malaysia, it’s impossible to ignore the notion that the Malay woman in a hijab eating breakfast next to us probably views the whole situation—from New York to Bieber—completely reversed: that she is probably soothed when she hears the call to prayer in America, and worried by the music that’s playing at home. Bieber aside, there is a deeper level at which listening to the Adhan in Malaysia is fascinating. It is fascinating because five times a day, in the heart of Southeast Asia, one can stop and listen to to the ebb and flow of Arabic verse conceived hundreds of years ago in an alien culture located half way around the world. And that is just the beginning of this country’s astounding multicultural heritage. Pick a street in Georgetown or Malacca, and you’ve got a pretty good chance of being able to walk by a mosque (built by Malays, Arabs, or Indians), Buddhist temple (built by Chinese), Hindu temple (built by Indians), church (built by Chinese, Indians, or European settlers), and colonial fortress within the space of one or two city blocks… all of them but the fortress alive and active with worshipers. 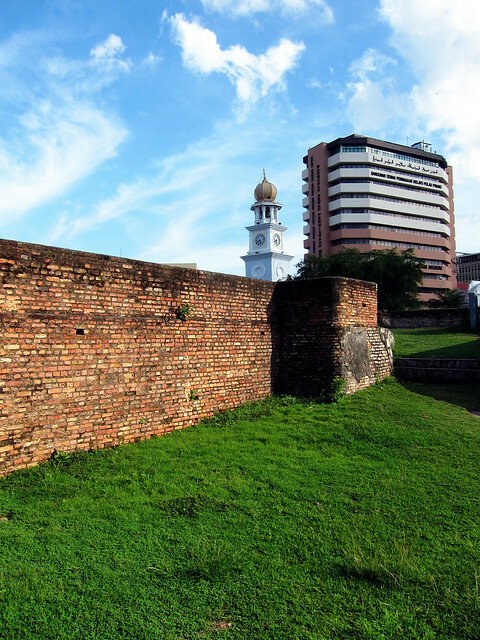 Fort Cornwallis was present in Georgetown long before Ms. Bird. visited… the clock tower behind was built soon after she left to commemorate Queen Victoria’s 1897 Jubilee. Only fifty percent of Malaysia’s population is in fact comprised of ethnic Malays… and the Malays themselves are not indigenous to the peninsula or Borneo. Ten percent of the population is indigenous, with the rest being of Chinese or Indian descent… the offspring of generations of immigrants who came to work the tin mines, plant the fields, and set up business—many of whom were “shipped in” by the British. The citizens of Malaysia are governed by two courts: one which handles all secular cases, and everything related to the ethnic Chinese and Indian populations, and another—the Islamic Sharia court, imported from Arabia—which governs the Malays, who are Muslim by ethno-religious state definition. The majority of political power is held by Malays, while the majority of the country’s wealth is held by ethnic Chinese, and the majority of laborers are ethnic Indians. In short, Malaysia is one of the most heterogeneously multicultural countries in the world. Cultures have been colliding here for a very long time. In fact, the more I saw of Malaysia, the more I realized that—Bieber notwithstanding—I was encountering many of the same things that Isabella Bird had encountered over a hundred years ago, from the cultural juxtaposition, to the friendly people, to the lush open jungle, to the equatorial heat, to the amazing variety of delicious foods. 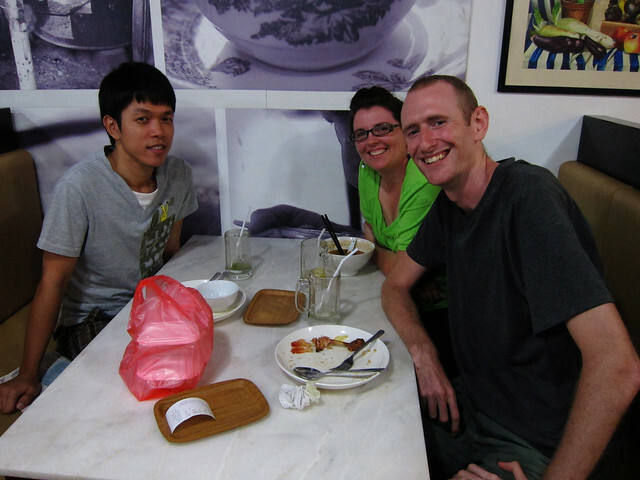 Having dinner with Kian—a Malaysian of Chinese descent who hosted us for two nights in Ipoh. Most importantly, my journey was similar to Isabella’s in the way that all journeys will always be similar: we both encountered something of what a particular place is like right now (which of course includes something of what it was like in the past). As far as I can tell, the world is always changing. We gain some things, and we lose some things, but I think it’s important not to be too nostalgic about the past, not to privilege getting to see an “uncorrupted” culture over getting to hear Justin Bieber play in a small town in Asia. Because those uncorrupted cultures never really existed; culture is a discussion, and we’ve all been having it for a very long time. I tend to agree with what Ovid said some two-thousand years ago: Omnia mutantur, nihil interit (“everything changes, but nothing is truly lost”). People like myself complain about the world getting smaller, but I think that we’re humbugs and liars, because the world, if anything, is getting bigger. Go back a hundred years, and ask yourself how likely it is that you would have had the resources (or inclination) to travel out of your home country. Now ask yourself how likely it is that those villagers in Sungai Batu would have had the resources to travel out of theirs. All of us get to experience more cultural diversity now, in the twenty-first century, than we ever could have hoped to do at any point the past. I think there is room for a mitigated skepticism in all areas of life, and I think that, in the coming decades and centuries, it is imperative that people take strong stands to safeguard the precious parts of their cultures, because there is a danger that some precious parts may be washed away. But that doesn’t make the wave inherently bad, nor does it make travel in the contemporary world “boring.” On the contrary: every day, all over the world, more people than ever before are coming into contact with new modes of thinking, new forms of living, new ways to be who they are, and new ways to be who they aren’t… are coming into contact with people and styles and ideas that their parents never could have imagined. People are trying to figure out what to keep and what to throw out, trying to decide what’s valuable and what’s trash, trying to change and trying to stay the same. Sometimes it’s ugly, sometimes it’s violent, sometimes it sounds like a prepubescent pop singer I really wish would go away… but as I sit here in Kuala Lumpur listening to the Korean pop megahit “Nobody” play in the background, with an amazing sampling of Indian food in front of me, at a hole-in-the-wall restaurant that sports a large “like us on Facebook” sticker on the wall… I am reminded that most of the time it’s just messy, and crazy, and a whole lot of fun watch—and be a part of. 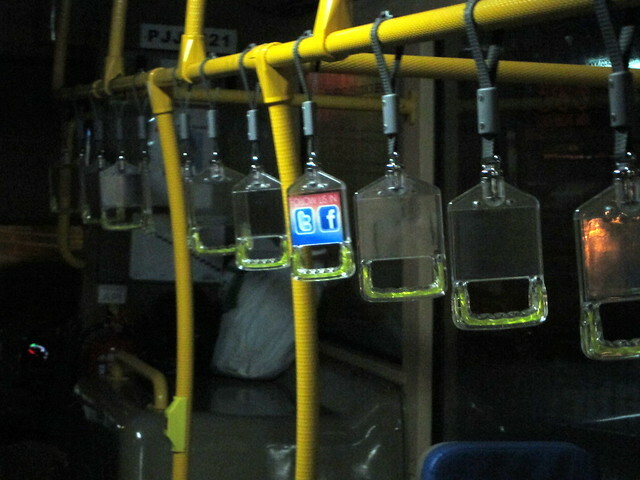 Social networking advertised on a city bus we took from Sungai Batu to Georgetown. Posted by tusongtupa on May 11th, 2011 at 4:29 pm. Posted by Jordan Magnuson on May 13th, 2011 at 12:00 am. Hey, just tried “Prologue” and I really like it! Most promising start to an RPG that I’ve seen in a long time! Posted by Jordan Magnuson on May 13th, 2011 at 12:10 am. Posted by nfl logo on Jun 16th, 2012 at 7:43 pm. Amazing. You have a gift. If I could in any way take any credit for your worldview, perspective, vision, way of experiencing and processing life, I would be most excited. You are an Anthropologist. You are a TCK. You are amazing. Posted by DK Mag on May 11th, 2011 at 9:37 pm. Posted by Jordan Magnuson on May 13th, 2011 at 12:02 am.